Still bashing away at the Discovery Draft and I’d written myself into a fab cliff hanger. Next day, Nooooo. I’ve run into a wall of resistance. I need a scene with a drama between T and her father. He’s the wicked baddie… has driven her to lies. So it is a backstory set-up, tense drama but short. BUT I am writing in bits. Scenes, short chapters, and I’m not even sure of the order and timings. I want to stay loose so as to feel free and invent. Yet I want to stitch it all together to see if the order works. Without nailing myself down. Argh — stuck every way I turn. This is writing in the dark, bashing on. 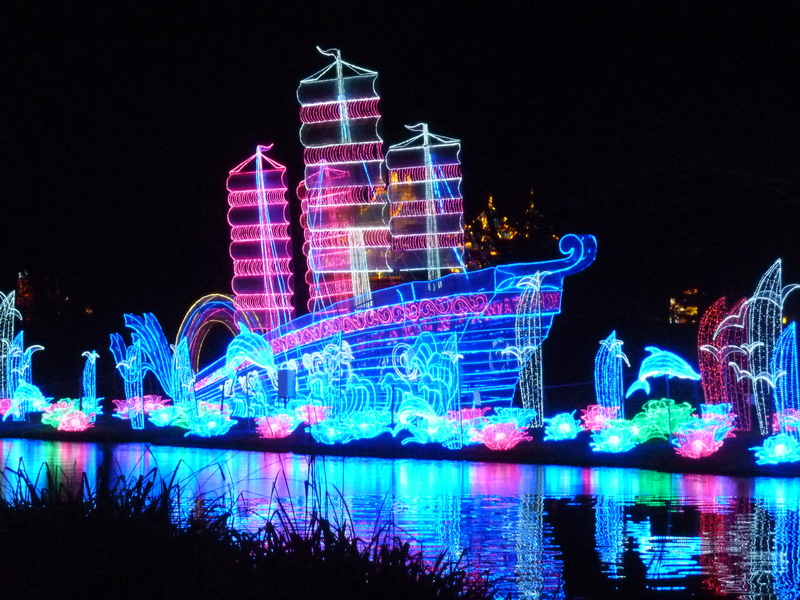 Meanwhile here’s my photo of a magical lantern show in the gardens of Chiswick House — ships that pass in the night? This entry was posted in creative writing, crime writing, Fairy/folk tales and tagged Chiswick. Bookmark the permalink.